Fiber’s Future Looks Bright with Frequency Combs. Fiber is the future of all communications, that’s a fact that any technologist will be able to tell you. Whilst copper is still the mainstay for the majority its lifetime is limited as optics are fast approaching the point where they’re feasible for everything. However even fiber has its limits, one that some feel we were going to hit sooner rather than later which could cause severe issues for the Internet’s future. However new research coming out of the University of California, San Diego paves the way for boosting our fiber network’s bandwidth significantly. Today’s fiber networks are made up of long runs of fiber optic cable interspersed with things called repeaters or regenerators. Essentially these devices are responsible for boosting up the optical signal which becomes degraded as it travels down the fiber. The problem with these devices is that they’re expensive, add in latency and are power hungry devices, attributes that aren’t exactly desirable. These problems are born out of a physical limitation of fiber networks which puts an upper limit on the amount of power you can send down an optical cable. Past a certain point the more power you put down a fiber the more interference you generate meaning there’s only so much you can pump into a cable before you’re doing more harm than good. The new research however proposes a novel way to deal with this: interfere with the signal before it’s sent. The problem with interference that’s generated by increasing the power of the signal is that it’s unpredictable meaning there’s really no good way to combat it. The researchers however figured out a way of conditioning the signal before it’s transmitted which allows the interference to become predictable. Then at the receiving end they’ve used what they’re calling “frequency combs” to reverse the interference on the other end, pulling a useful signal out of interference. In the lab tests they were able to send the signal over 12,000KM without the use of a repeater, an absolutely astonishing distance. Using such technology could drastically improve the efficiency of our current dark fiber networks which would go a long way to avoiding the bandwidth crunch. It will be a little while off before this technology makes its way into widespread use as whilst it shows a lot of promise the application within the lab falls short of a practical implementation. Current optical fibers carry around 32 different signals whereas the system that the researchers developed can currently only handle 5. Ramping up the number of channels they can support is a non-trivial task but at least it’s engineering challenge and not a theoretical one. 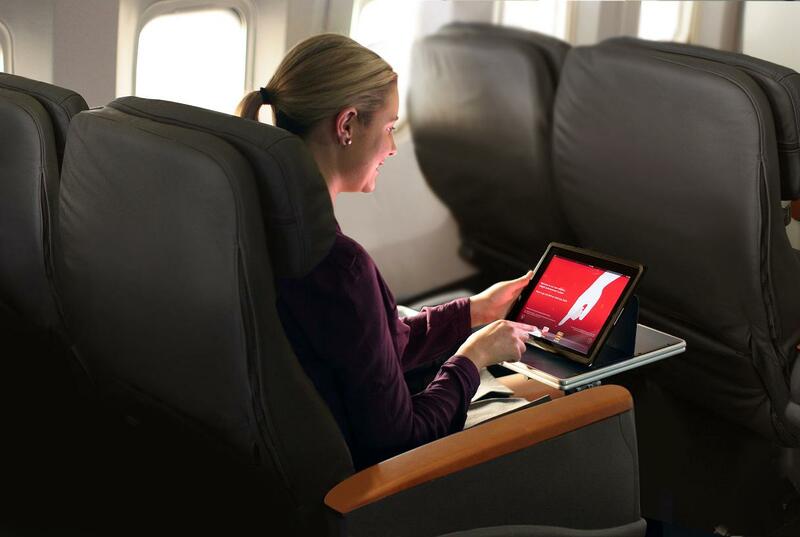 Flying and Electronic Devices: How Things Are Changing (and How They Won’t). I’m not exactly a corporate jet setter (although the past couple months would attest otherwise) but I’ve see the inside of a plane enough times to know the law of the land. For me I spend the majority of my time buried in a book, right now its the Wheel of Time series, as I don’t really get a chance to read for pleasure at any other time. For long haul flights I’ll usually have my laptop in tow as well although lately I’ve left that in the checked baggage, mostly because the in flight entertainment systems have gotten a lot better. Still I’ve had the pleasure of being on some flights that offer in flight wireless and whilst its usability was on the low side it was an apt demonstration of how far aviation technology has come, and where it was heading. Rewind back a decade or so and the idea of allowing radio transmitting devices to operate on flights was akin to wanting to make the plane crash. The stance of the various aviation bodies was easy to understand however: they were simply unable to test all of the available transmitting devices with their aircraft to ensure that no interference was possible and thus had to ban them all outright. Their relenting on wireless networking was due in a large part to the rigorous specifications of 802.11a/g/n which include transmission power limits as well as their frequencies being well outside of any that aircraft use for necessary functions. Of course not every device strictly adheres to it but there’s little to be gained from juicing up the power levels on your wireless, especially if it’s running on a battery. However the use of these systems is usually restricted to after take off through until the plane is making its final approaches for landing. Whilst I’ve heard a lot of people say that this was due to the interference I thought the reasoning was far more simple, it was to keep you aware during the most risky points of flight: take off and landing. Of course my theory falls apart in the face of reality as I’ve not once been told to put my book away during these times, even when they’re doing the safety demonstration, but have been told on numerous occasions that my laptop should be put away until I’m told it’s allowed again. Recent announcements from the Federal Aviation Authority in the USA however show that the rules against electronic devices are slowly being changed to allow more broad use cases with them now allowing use of electronic devices during take off and landing. They’re still limiting the use of wireless to the in flight system (although whether the 10,000ft restriction is still in effect isn’t something I could ascertain) and about and the outright band on all other transmission devices remains in effect. It might surprise you to find out that I actually agree with the latter restriction but not for the sake of the airlines however, it’s for those poor cell towers. You see when you’re on the ground your mobile phone has a finite transmission range that’s limited primarily by the numerous things that get in the signals way as it travels from the cell tower to you. As a consequence of this you’re likely only ever hitting a handful of different towers, something which they deal with easily through hand-offs between each other. However when you’re in a plane those obstructions are no longer in your way and suddenly you’re effectively able to hit dozens of towers all at the same time. This, in effect, is like a small denial of service attack and they’re simply not designed to handle it. The best way to combat this would be to use some form of picocell on the plane itself, something which I had heard was in development a long time ago but can’t find any links to support now. Still for the short term this is unlikely to change unless the telecommunications companies think its worth their while to support it and the FAA agrees to change the rules. Personally though I’m far more interested in technology that makes those in flight wireless systems more usuable like the new Ground to Orbit systems that GoGo wireless has been testing. Whilst the current 10Mbps of bandwidth might be enough for the odd Tweet or Facebook post it’s rarely usable for anything else, especially when there’s a few people online at the same time. Of course some also take solace in the fact that they’re incommunicado for the duration of the flight, something which I don’t quite mind myself.